I love a great bit of lighting. I think it can make all the difference to the look and feel of your room and you really shouldn’t be scared to experiment with different lamp styles and different types of lights. Having the right type of light can alter the ambience and mood of a room dramatically, creating shadows, pockets of light and corners of interest. On today, Valentine’s Day it’s essential that you create the right romantic mood if you’re celebrating with someone special, and lighting your room the right way will help this enormously. Litecraft recently asked me to take a look at a few of their lighting products and I love the look of their site, so was delighted to pick out a few that would suit our home. I’m hoping and planning to add a little bit of freshness to our tiny Victorian bathroom in the very near future (we should have started already but life seems to have got in the way of the redecorating at the moment!) 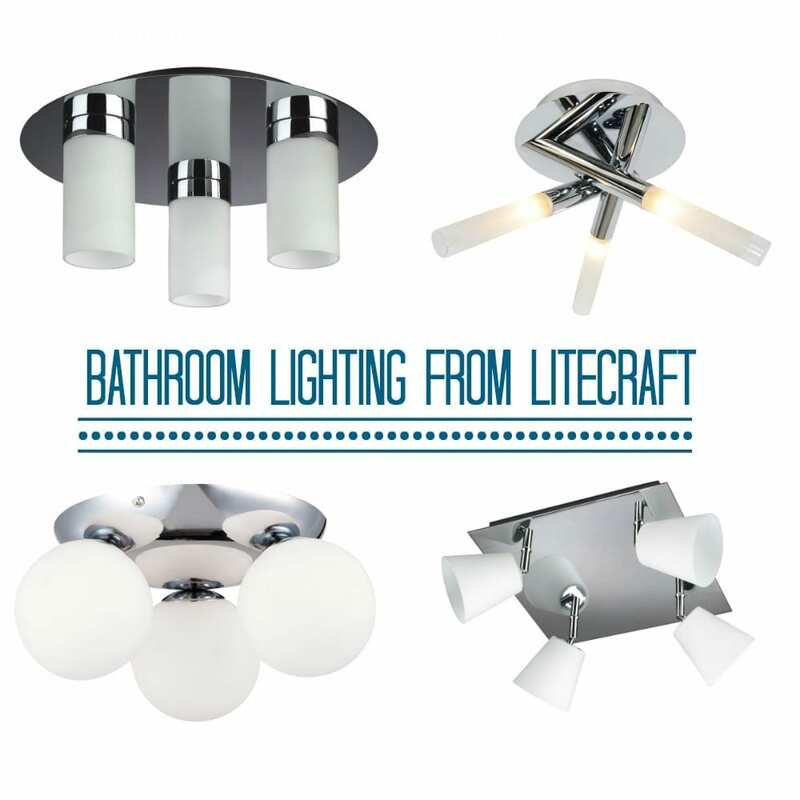 so it made sense to take a look at the Litecraft bathroom lighting to see what was on offer. Lighting a really small room is always difficult but even more so for a bathroom. There are all kinds of rules and regulations that you need to follow to ensure you are installing the correct product from a safety point of view. Luckily the Litecraft website has taken the worry away by ensuring that it details the different Zones in which the product can be used. Our bathroom would probably benefit from a much better light, something more powerful and definitely more stylish. The one there at the moment is very old and really quite simply, but we installed it when we were decorating on a budget, and there it seems to have stayed. Adding something more interesting and more up to date will really help create the new look I’m after. So what did we have to choose from on the Litecraft website? Well you can see just a fraction of the lovely collection available above, but in the end I settled for the Hugo 3 Light Bathroom ceiling fitting finished in polished chrome. It has adjustable spotlights with glass diffusers and I think has a kind film set, almost classy industrial feel. It’s going to look fabulous! Now I can’t yet show it ‘in situ’ as we’ve had a few electrical wiring issues and need to get them addressed before it goes in, but suffice to say this is a huge improvement on the current lighting situation in the bathroom and I know it’s going to look great. In terms of pricing this fitting sells for £89 but at the time of writing, Litecraft is running a sale and it has 49% off! Grab a bargain while you can. I have to say I’m really impressed by the extensive range on the Litecraft site and there really is something for everyone. 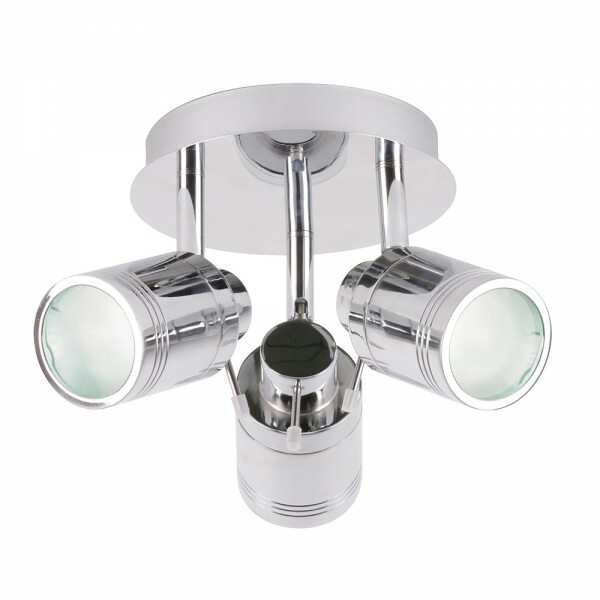 Whether you’re looking for a bathroom fitting like I was, or a lamp for the bedroom, or an outdoor light for your porch, you really will find something to suit your taste and style. Next Post Sport Relief: Where Does the Money Go? I like the choice you have picked. I need a new bathroom mine is in serious need of updating. Will certainly have a look on the Litecraft website when we go ahead. I think the prices are great too.